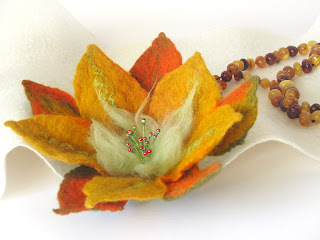 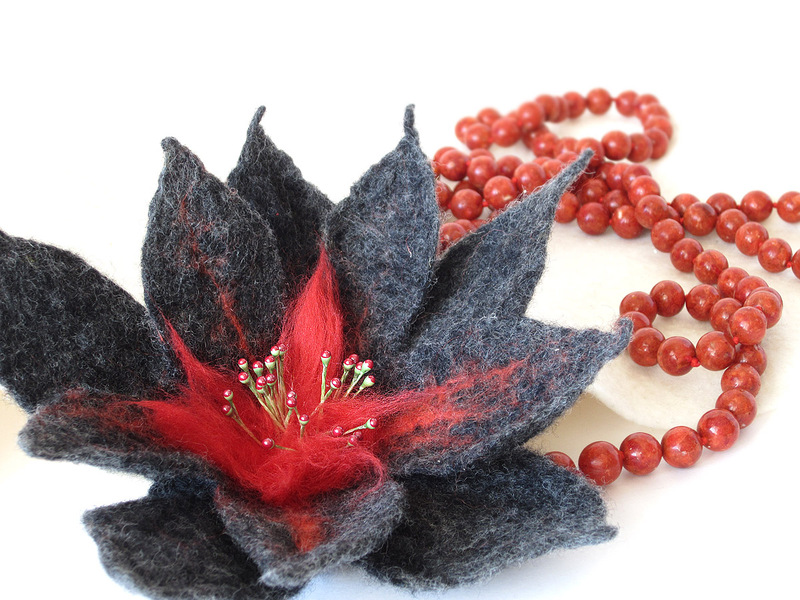 Juliandr's felting story: Some felted blooms... brooches! 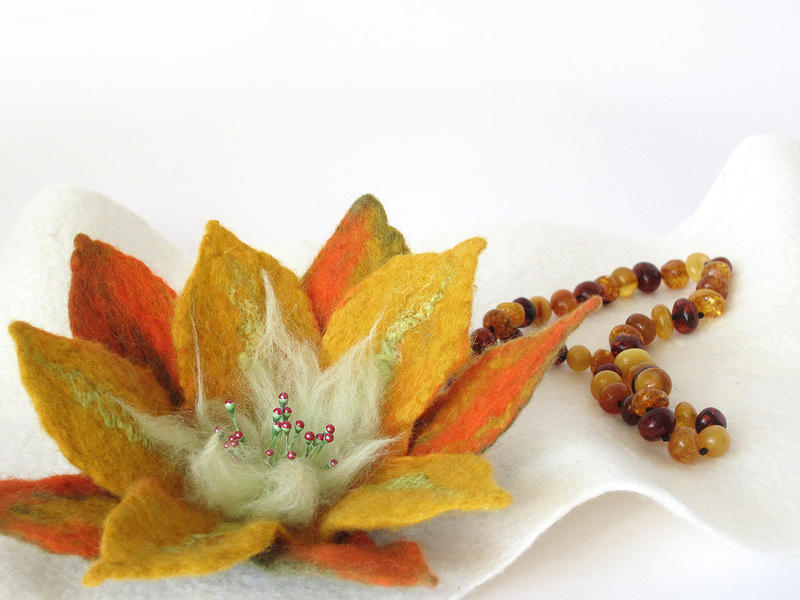 Various colors and shapes - flowers is a fathomless theme, pure inspiration. 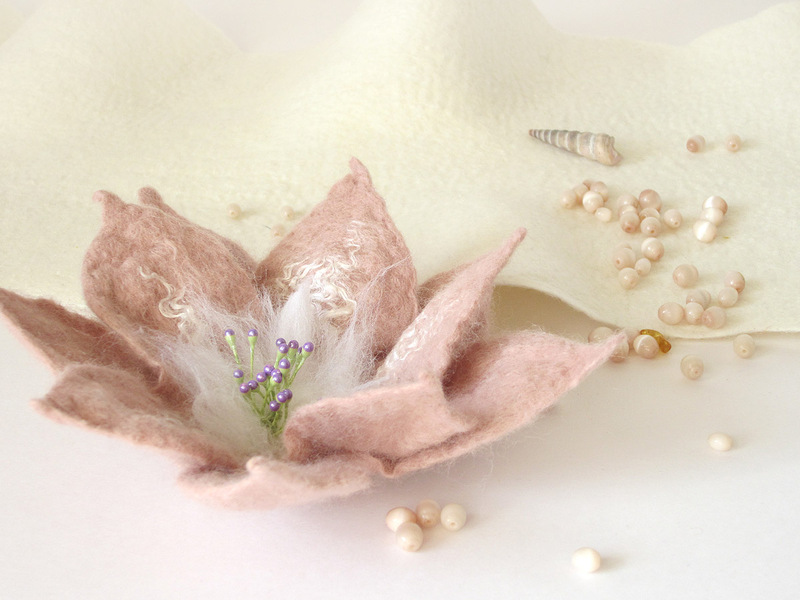 I'm planning to dig lilies a bit more. One of these flowers is brand new - the claret rose made specially for Susan from Blue Jay, CA.. The diameter of all flowers is more or less the same, 15-18 cm. They are lightweight, stiff and stirdy.